Season 8, will be released on March 22nd on Blu Ray. Season 9's release date is April 19 on DVD. 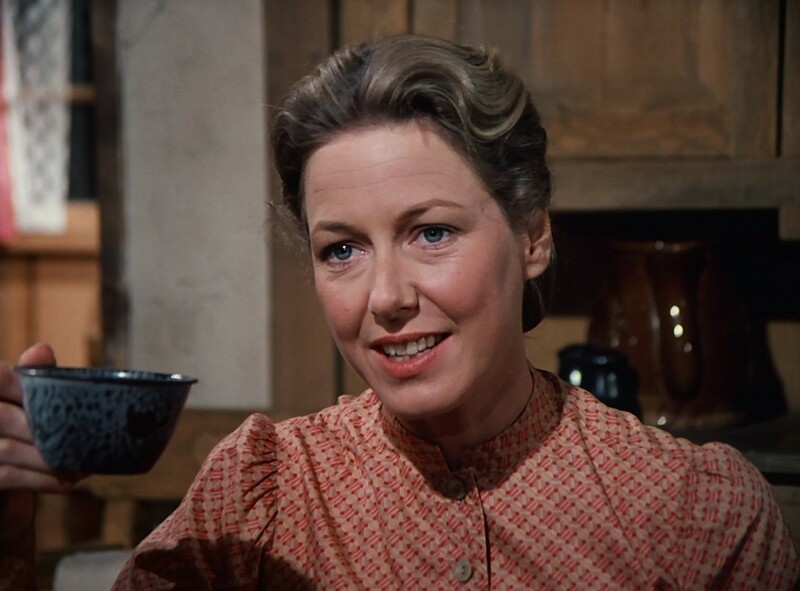 Unfortunately, I will not be getting that season because, I cannot accept the absence of the Ingalls family leaving Walnut Grove. If I get it, I would do the same thing like I did to the other ones: Smash them against the kitchen floor! I'm sorry. I have season 1-8 which is darn plenty for me. Season 9 is probably my least favorite season, but it's still a great season in my opinion. Looking forward to getting it! Yes, I too was on the disappointed side. When I watched each season as they originally aired, season 9 just didn't feel the same. 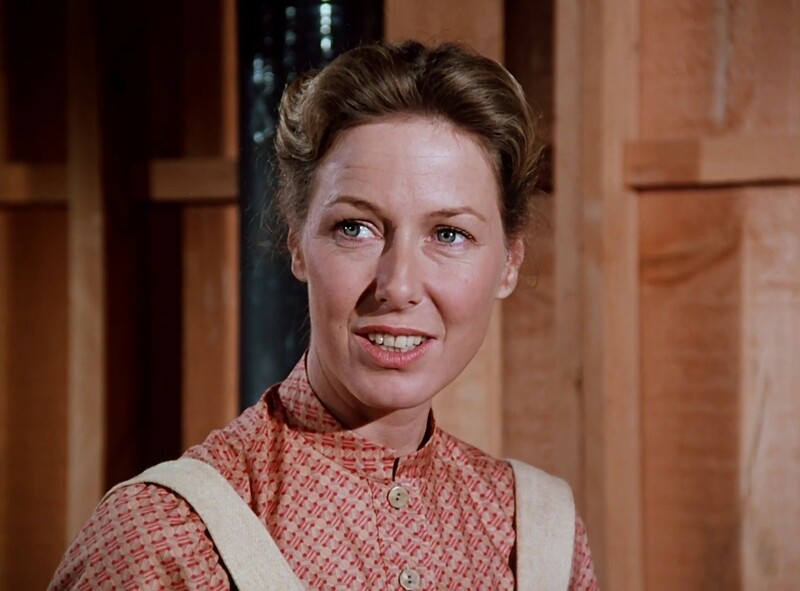 But all of us fans who watched Little House from the beginning, got hooked on the series. We had a vested interest. Whatever we got out of it...at least it surely reinforced our family values. It gave us a healthy experience of bringing out emotions that we needed to feel. So, if season 9 didn't quite live up to our expectations.....that's OK..... It served its purpose as a contrast to the earlier seasons....making us appreciate them EVEN more ! Season 8, of Little House on the Prairie (Blu Ray) will hit stores on March 22nd. Little House: A New Beginning is the continuation of the series and it was coined "SEASON 9". The DVD Version, will be released on April 19. Unfortunately, I won't be purchasing A New Beginning because, I would talk about my DVD smashing stories. I hear the Blu-ray versions of Season 7 - 9 will NOT have a sleeve like the others. Also, the Menu is different. The above is true for season seven. Hopefully they heard the complaints and will make sure the Spanish audio sync is right for seasons 8 and 9. Lionsgate almost stopped the Blu-ray releases after season six until everybody on Amazon complained, so they decided to put the last three seasons on Blu-ray as cheaply as possible and allow them to be sold exclusively on Amazon. The video and audio quality is still great, but by cheaply, I mean no slipcovers, a basic menu instead of the beautiful motion menus of the first six seasons, and no digital codes. So I'm guessing seasons 8 and 9 will also have no slipcover, no digital code, and basic menus. The Spanish audio being out of sync was a quality control issue where an employee using the software didn't sync it up correctly before mastering the discs, and it should be able to be corrected for the last two seasons. Hopefully they will also correct it on future printings of the season seven discs, but I haven't heard anything about that yet. I got the season 8 Blu-ray today and right before they start singing Onward Christian Soldiers near the end of The Last Farewell, the sound goes really low where you can barely hear it and it stays low throughout the song. Can somebody who bought the remastered DVDs of season 8 let me know if the remastered DVD has the same issue with The Last Farewell? I'm trying to figure out if it was a remastering issue or a Blu-ray only issue. I have the DVD and it does seem that the song gets kind of quiet. But I don't remember how it was on the older DVDs. From what I've read, it is loud and prominent on the older DVDs just like it is when broadcast on television. I also read that it sounds fine when you switch to the Spanish audio track, so I will probably check that out later. go to the language menu.....select either French or Spanish.....then play movie again......Mine starts off at the same place where I paused it. Thankfully, it's at the end. Maybe other options would be to wait for a POSSIBLE replacement disc.....or if you dabble in video/audio editing....you could join the two parts together. Has anyone discovered any deleted scenes from Season 8 episodes? I haven't received my blu-ray yet. Thanks! I finally ordered season 8 through amazon. I bought a used version. I ordered it today. I was a bit conserned about ordering the used pack, but it say it was hardly used and in great conditon and will play. I hope so. I feel uneasy at times buying used dvd's and video games, but I have never had any problems. I can hardly wait to see missing scenes and the missing scenes from the 2 movies included. I'm going to wait to order season 9. I can hardly wait to get sesaon 8 in the mail and see the missing scenes and the missing scenes from the 2 movies. I will wait until after season 9 to watch the movies. The only 2 I don't like from season 8 are A Wiser Heart and A Farway Cry. I always have tissues near by when I watch the movies. Hearing Albert is dying saddens me and so does when they blow up the buildings. I'm new here and I just ordered the Complete Remastered DVD Boxset (not Blu Ray). Without having to read everything to compare the DVD boxset has the same extras as the Blu Rays I'm assuming? I'm mostly interested in Season 4-7. Hope I've made the right choice as I don't want to buy a new Blu Ray player right now. Yes, the remastered DVDs have the same extras as the Blu-Rays. Good Choice! Amazon just emailed me about Season 9 Blu-ray. They said I should expect estimated arrival date: April 25, 2016 - April 29, 2016 Let's hope that we all can share the same enthusiasm with the possible new Little House movie coming out. Cool. I seriously hope though that there aren't new extras on it because I'm concerned that I will have to buy the whole thing all over again. I just got the boxset last night and started to watch, it's so cool watching as an adult because I can see all the stuff I missed when I was a kid and didn't realize was actually a part of the real Laura's life. There are very small things though that I've noticed so far. The only extras on the remastered versions are the original screen test with Michael Landon and Melissa Gilbert, the six part Little House Phenomenon documentary and the three movies made after season nine. Whether you buy all the seasons on Blu-ray or DVD or buy the DVD boxset, you get all the extras. The only way you miss out on any extras is if you buy the series on digital because the screen test, the three movies, and the last three parts of the documentary haven't been released on digital. Thanks for the info! I appreciate it ever so much! I'm finding certain of the episodes on some discs look better than the others...."Author Author" on the Season 6 disc looked a bit washed out and not as sharp in the picture...I guess the digital copies might be a bit better? I finally got season 8 today. I can't really tell if any of the missing scenes are there. The Blu-rays, Digital Copies, and DVDs are from the same source, so if the colors in the film source of an episode are faded, all three formats will show it. Below shows the difference in Caroline's eyes between Faith Healer and Author, Author. I just ordered LHOTP season 9 today... I should get it in a week! Do Seasons 7, 8 & 9 Blu Ray versions have also codes to STREAM EPISODES ONLINE?